This weekend is so jam-packed with events in Winterset that I’m going to let the pictures do the talking. Let’s go! 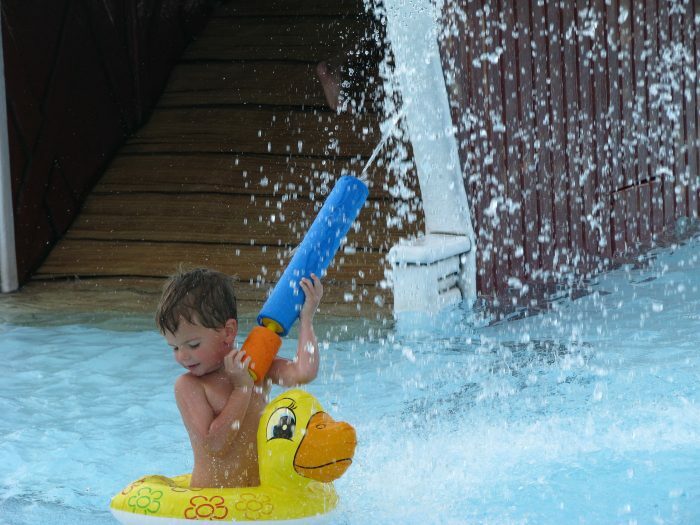 Opening day of the Winterset Aquatic Center is Saturday, May 28th, 12:30 – 6:00! 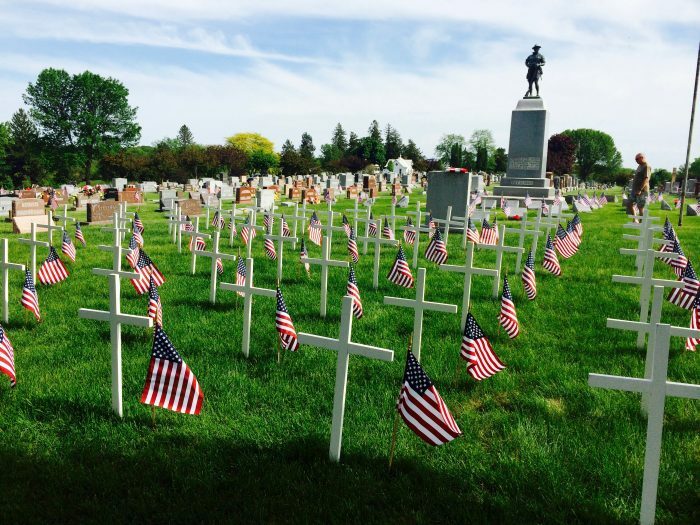 They will also be open on Sunday from 12:30 to 6:00, and Memorial Day from 12:30 to 5:00. They will have evening hours of 4:00 to 8:30 pm on the remaining days of school and begin regular hours on June 3rd. 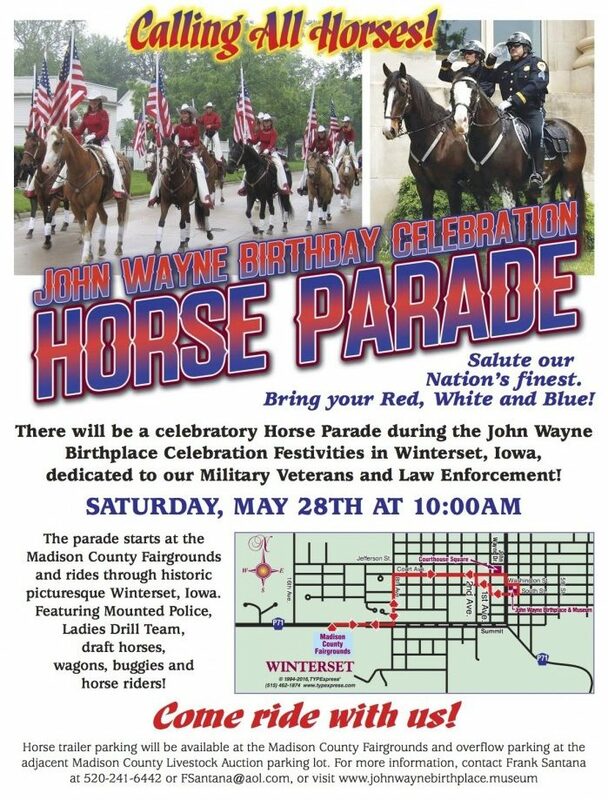 Continuing the John Wayne Birthday celebration, all are invited to breakfast at the firehouse from 7:00 to 11:00 am Saturday morning. 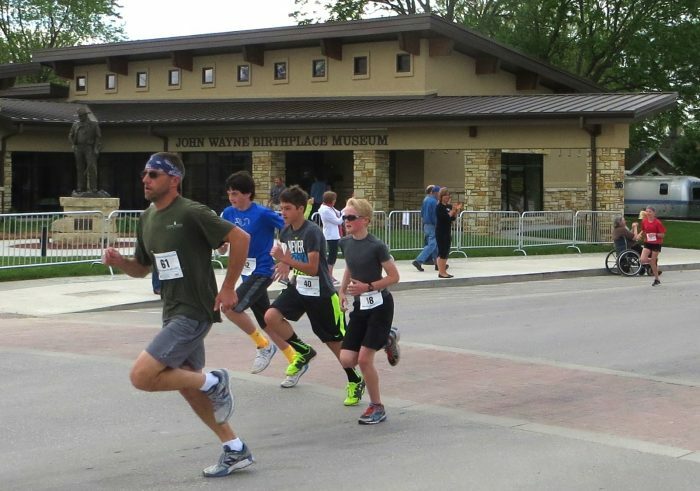 The John Wayne 5K Run/Walk starts at 9:00 am at the Museum on Saturday, with registration from 7:30 to 8:45 am on the corner of Washington and 2nd St. NOTE: To see more of the horses, at 1:00 pm on Saturday there will be equestrian drill team presentations at the fairgrounds, including the Ohio Top Hands, Wildwood Wranglers and Escarmuza Flores de Lirio, Central Iowa Dancing Hooves, Dragon Fire Dancing Horses, and The Red Rock Riders. 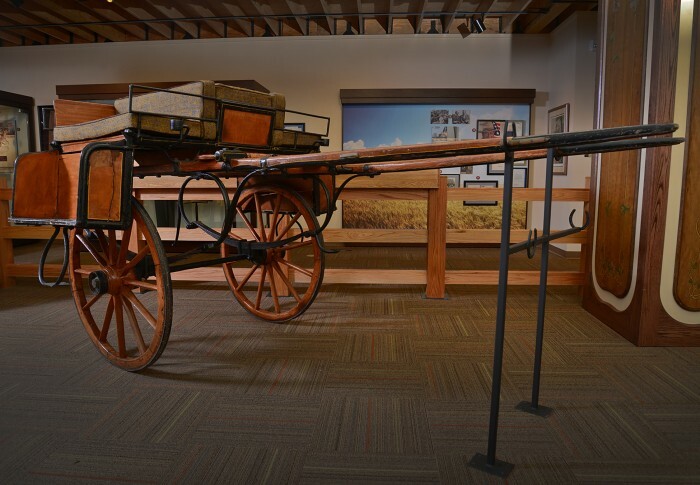 At 1:00 pm on Saturday, there will be a special unveiling and dedication of new Quiet Man artifacts at the museum: the iconic jaunting car (or sidecar) that fans of the The Quiet Man will recognize from throughout that beloved film, and the Connemara shawl worn by Maureen O’Hara. O’Hara’s grandson will be present for the festivities. Photo by John Gaps III. 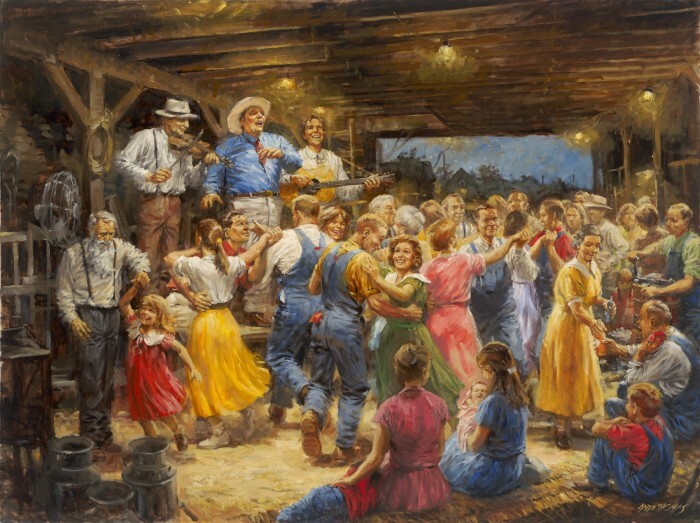 According to Brian Downes this morning (Friday, May 27th), there are still tickets available for the annual Museum Benefit Dinner & Auction, with musical entertainment by Carin Mari and a lively auction of John Wayne collectibles and memorabilia: Saturday, May 28th at 5:00 pm at the Jackson Building. 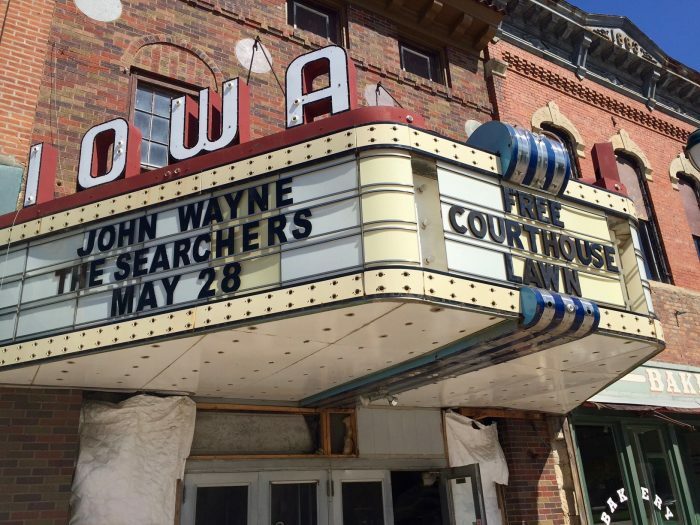 Bring a lawn chair or blanket and enjoy a free public showing of The Searchers on a big screen outdoors on the courthouse lawn this Saturday, the 28th at sundown (after the benefit dinner). Go early, because Winterset native Will Schmitt will provide live music before the movie! 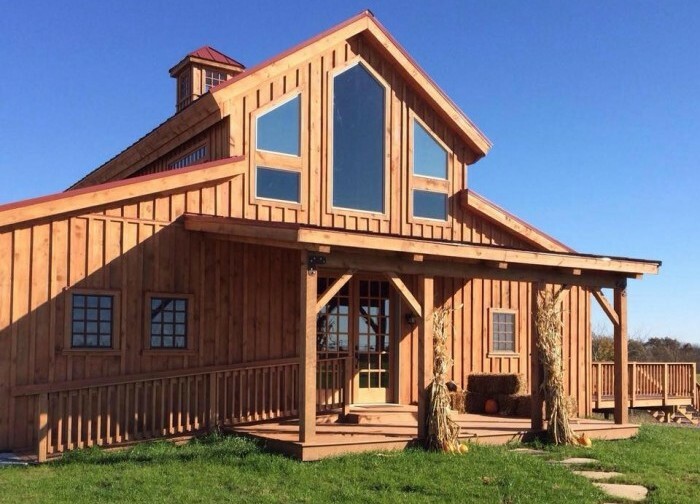 The Winterset Cidery is having its grand opening this Saturday and Sunday from 1:00 to 10:00 pm, five miles north of Winterset on Hwy 169. They are planning live music, a hog roast and other activities, and they hope to see a great crowd there. 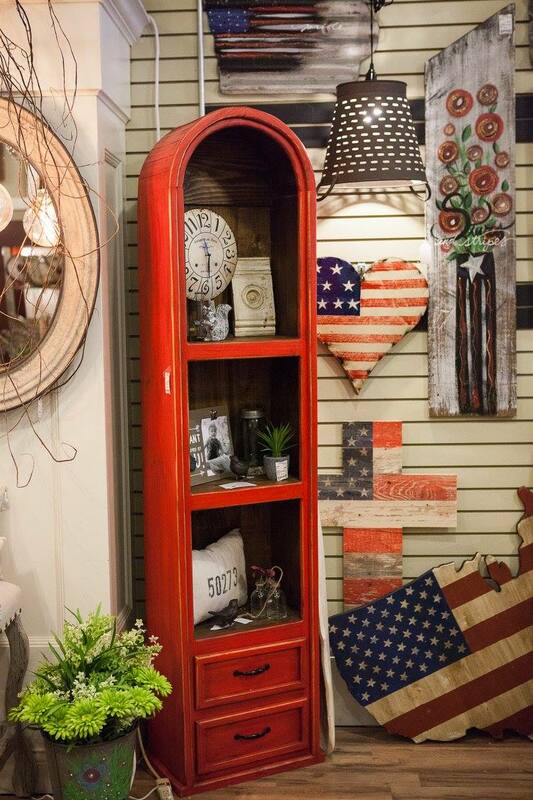 Occasional market re:home, located on the West side of the Winterset square, will have a bonus “open” day on Saturday, the 28th from 9:00 am to 4:00 pm. 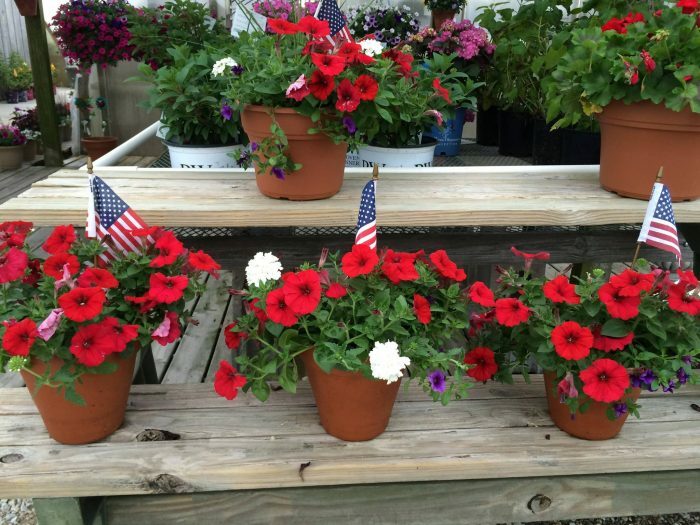 Groth’s Gardens & Greenhouses will be open all weekend, including Memorial Day, with special deals and beautiful Memorial Day planters. 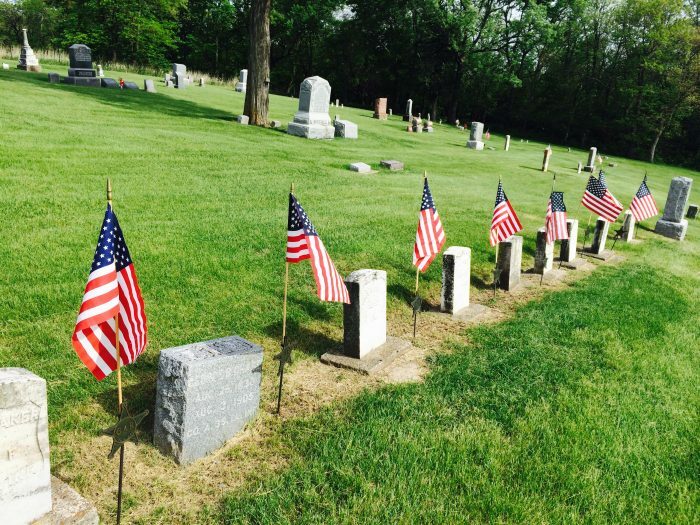 The annual Memorial Day parade will begin at 10:00 am and proceed east on Court Ave. to the cemetery for a service in memory of Madison County soldiers who gave their lives to our country. In case of rain, the service will likely be moved to Miller Auditorium. 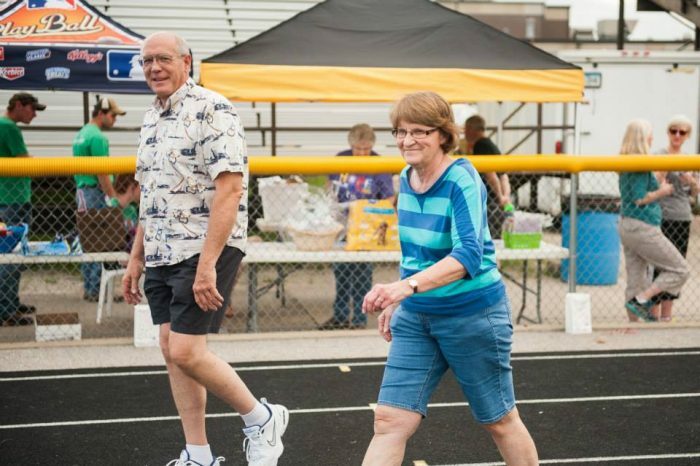 The Madison County Relay for Life is Saturday, June 3rd at 6:00. Spend time with great people for a great cause! Read more about how your whole family can participate here. 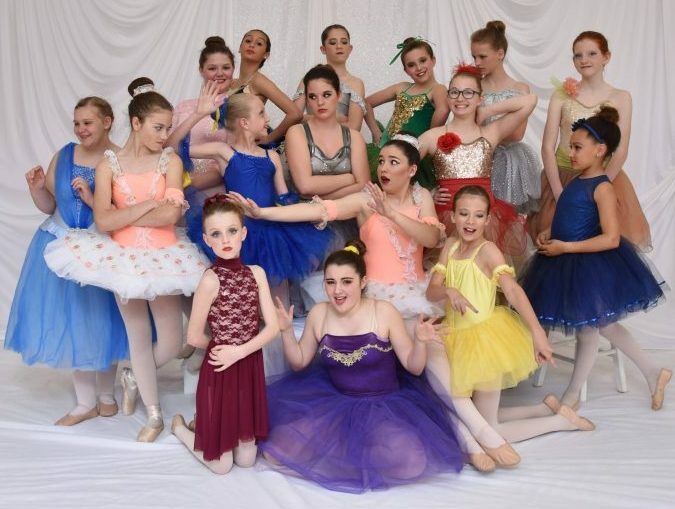 Winterset Ballet & Dance Studio presents “Finding Nemo” and “Life is Good” by a FUN and talented group of dancers: Saturday, June 4th at 6:00 pm and Sunday, June 5th at 3:00 pm at the Winterset High School Auditorium. 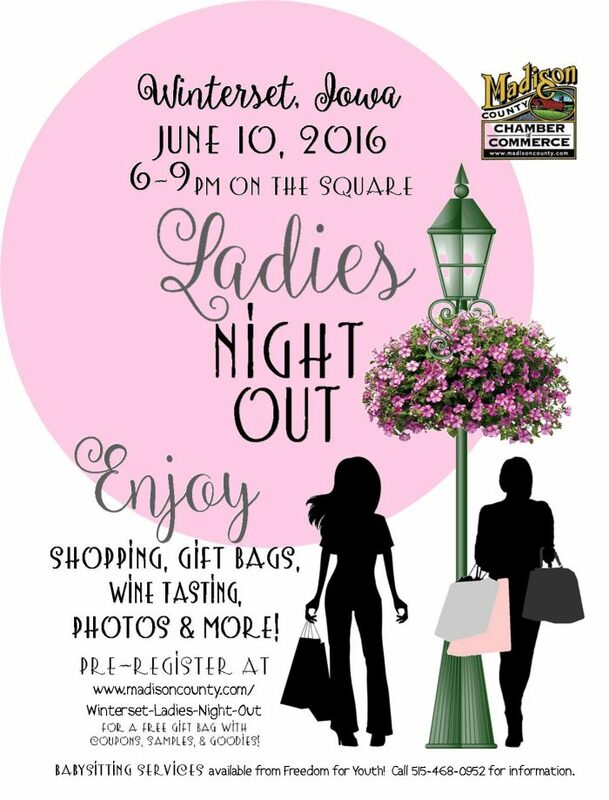 Click here to register for Ladies Night Out in Winterset! That’s all I can fit in this post! 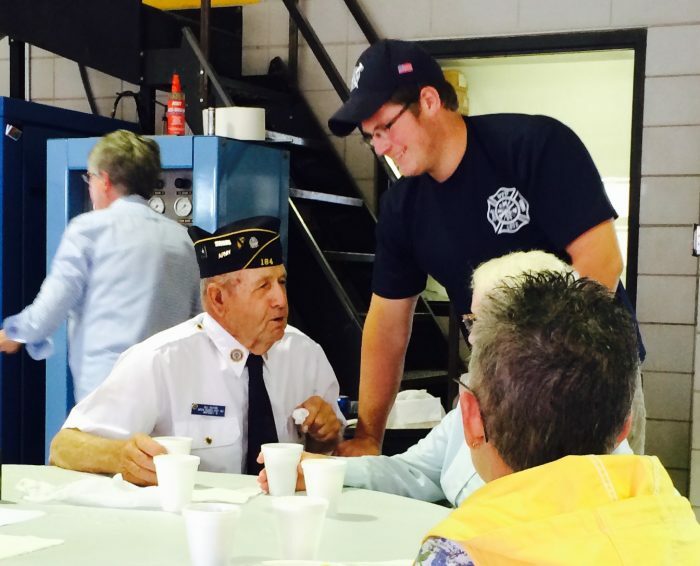 Have a great weekend in Winterset, and thank you for reading The Winterset Citizen.